This is a collection of miscellaneous information about Lemote and the Yeeloong. For information about gNewSense for Yeeloong, refer to GNewSenseToMIPS. For information about gNewSense for the "3A laptop", refer to GNewSenseToMIPS-3A. Avaneya has a MIPS port planned, using the Loongson as a test bed via gNewSense. The project will realize the intention of The Free Software Foundation to port the gNewSense distribution on the Yeeloong laptop (http://www.lemote.com/english/yeeloong.html) manufactured by Lemote Tech (http://www.lemote.com/). "The Big Push 2009 -- Free Software Foundation Appeal"
"Hardware manufacturers friendly to free software have given us the first free software smartphone, the Neo FreeRunner. The OLPC project gave us the first free software laptop, the XO, that has quickly established the low-cost subnotebook marketplace — where the economics have made GNU/Linux a popular choice. And for the past few months, FSF systems administrators have been working on the forthcoming free software friendly Lemote laptop, which Richard Stallman is using and that we hope will be widely commercially available. The availability of free software friendly hardware has never been greater." The Loongson-2 MIPS Lemote Yeeloong Netbook, OSnews, 21th May 2009. The hardware has a free "bios" (the pmon2000 booloader), and should have a free OS (gNewSense). Its powered by a Godson cpu. The CPU is a 64-bit MIPS processor licensed by the Institute of Computing Technology (ICT), part of the Chinese Academy of Science and manufactured by STMicroelectronics. The boot firmware is a free "bios" (the pmon2000 booloader), developed by Opsycon AB (Sweden) and modified by Lemote Tech (China). brkcmd = "l -r @cpc 1"
PMON2000 2.1 (Bonito) #7:2008................17:31:33 CST"
The RTL8187(B) is included in linux-libre 2.6.32.9 lemote kernel by default. This driver makes the Lemote Yeeloong fail sometimes at starting the X server. The solution is to remove this package, and then restart the computer. APM of battery on KB3310B Embedded Controler init. The capacity of the battery (as indicated by the battstat-applet-2 in Gnome), is 1h30. The PMON boot firmware has a graphical interface with 5 menus. On the Fuloong mini, the /usr/sbin/update-pmon script may be used to update the /boot/boot.cfg file. To this end, execute /usr/sbin/update-pmon and adapt the modified /boot/boot.cfg if necessary, especially if you are using a multiboot configuration. Copy it eventually to the root boot.cfg file as set by the PMON boot firmware (see Boot parameter). So, in this experiment, the active distribution is located on the /dev/hda2 partition. The update-pmon script updates the local /boot/boot.cfg file located on the /dev/hda2 partition. However, the PMON2000 boot firmware is set to use the /boot.cfg file on the /dev/hda1 partition. In order to make the modifications of the boot.cfg file effective, you should copy it to the /dev/hda1 partition, after updating it according to the other distributions eventually installed on the other partitions. GRUB2 can also be used as boot firmware. It's only been tested for the Fuloong so far. Revision 3395 is known to work. A pre-built image of this version is available for download (md5sum = 3dbcd69c9ea09013a200db0bf1b9ab4d). Disc image of Debian (medan) for Lemote Yeeloong 8089A. Tester feedback for the 8089B model appreciated. 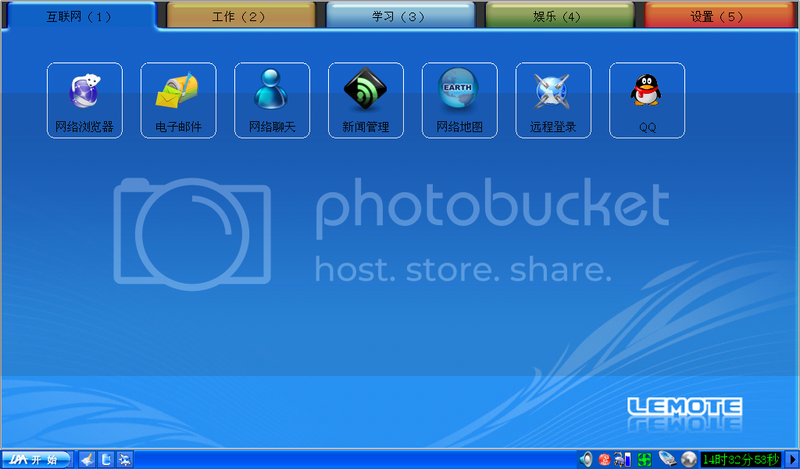 A Debian based chinese distribution developed and marketed by Sun Wah Linux Limited. Debian ( http://bjlx.org.cn/loongson/ ) - (http://www.lemote.com/debian) <- I think this is the content of the DVD that comes with the Fuloong mini. The release 0.4.3 has been improved by Lemote (Liangjin Peng, penglj at lemote.com) and reflects the state of the loongson2e CPU. The newer loongson2f CPU has introduced newer hardware and the gxemul code remains to be adapted according to this new hardware. MIPS:loongson2e CPU support added, which is as same as mips10K or other 64bit MIPS CPU. Bonito2E north bridge support added, which is optimized by ICT. 16KB page size support added for MIPS platform, which only supports 4KB before, but still a little bugs in it due to the unflexible architecture of the gxemul. This platform has been ported mainly according to the web page of the gxemul, few documents made for it. and it is still not usable today. With the loongson2f CPU, the north bridge has been integrated, causing a little software modification. The south bridge is changing to AMD CS5536, which is more complex to configure, so it will cause a lot of work load to port to gxemul. The video chipsets also differ to mini Fuloong2e, which are smi712 for yeeloong and sis315e for mini Fuloong2f. Mini Fuloong2f has another network adapter rtl8180 inside which also will be a big problem to be resolved. Lemote has setup a compile farm of four Lemote mini-PC (fuloong mini). Ask the login parameter in order to access to this hardware remotely (via ssh). For the moment, send your ssh public key to sysadmin@gnu.org - preferably in a GnuPG signed email. If you are rearing to go or the request seems to be taking too long, feel free to ping djbclark in #gnewsense (freenode IRC). After login, you can connect to build[2-4] to use other machines, if you have requested and been given access to them. We should probably modify builder to use ccontrol / distcc to make easy use of the multiple machines. There is a mailing list for everyone who has accounts: loongson-buildfarm@nongnu.org . You have now a working rescue system with Busybox! Then you can have a shell in ramdisk to do things. To reinstall the whole machine, just put the whole V1.1.x directory (http://www.lemote.com/upfiles/8089_OS_v1.1.1/ ) into a usb stick or disk (first ext2/3 partition, root directory), then use the 'recover' function of the pmon(press tab key during boot up). 1) I downloaded the new version of the os that samy talked about in the mailing list. 2) Formatted an usb key ext2 and put it all inside. 3) Inserted the usb key BEFORE switching on your Lemote Yeeloong. 4) At the pmon boot I pressed del. 5) The lemote will display a chinese writing and below it, "System is recovering and Please wait for several minutes", then it will reboot. 7) The Lemote Yeeloong will then boot automatically into the new updated os. "Installing Gentoo/MIPS without a netboot image"
- Follow installation process in D-I. And you can make this the default by setting "al" and "karg"
Alternatively, install the xserver-xorg-video-siliconmotion_2.2.8-lemote.r03_mipsel.deb (see http://dev.lemote.com/drupal/node/49) and copy a xorg.conf from another working yeeloong installation. CAUTION: if carried out incorrectly, the upgrade of the PMON2000 firmware can brick your unit and require a reprogramming of the memory! Be careful! 1. When the yeeloong or fuloong machine power on, press DEL to enter the PMON console. When this command is completed, a successful message will output to the display. CAUTION: This command will damage all the data in the firmware, if wrong data has been writen into it, the machine will do never run up unless taking the firmware off the motherboard and writing correct data into it through the programmer. a. Using the tftp network propocol. b. Using a local or removable storage. 3. Reboot your machine. Your machine will boot from the new firmware. Where /dev/hda1 is the ext3 partition that your vmlinux is on (alhough you might as well just do this for each of your ext3 filesystem partitions). Either many people interrupt the boot process in the wrong place, thus causing some filesystem corruption, around the time they do PMON upgrades, or newer PMON versions are more sensitive to filesystem corruption than older versions. "How to upgrade the PROM on the Fulong"
kgoetz: thoughts about how to restructure the build system. r0bertz: experiences of porting gentoo, specifically experiences about toolchain/kernel/xorg-server etc. Elly Liu elly.liu.cn at gmail.com with Ray Wang, String Tang, Beijing Gnome User Group and OpenParty testers (one month trial per tester).